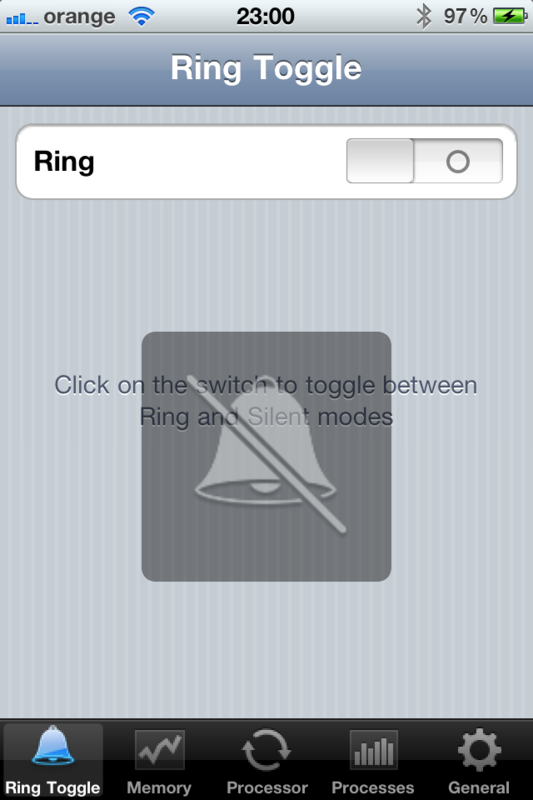 *** The app was removed from App Store. 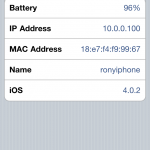 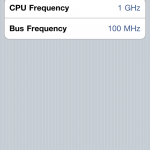 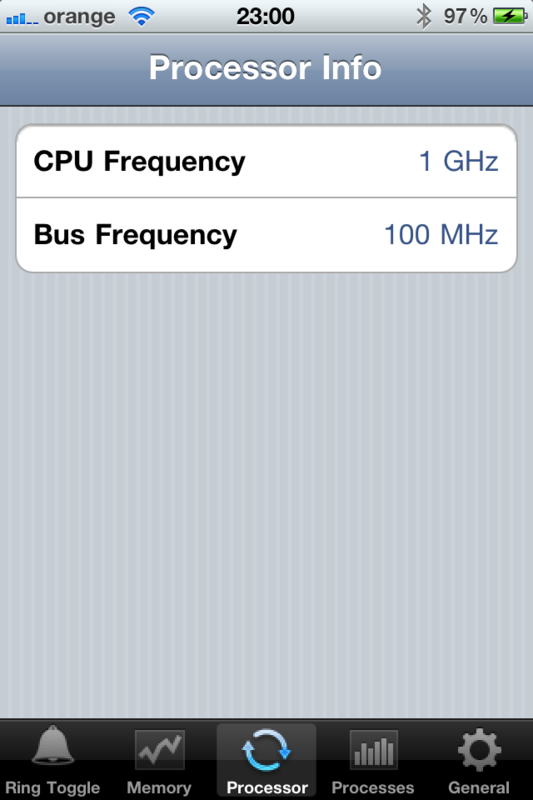 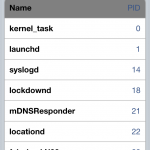 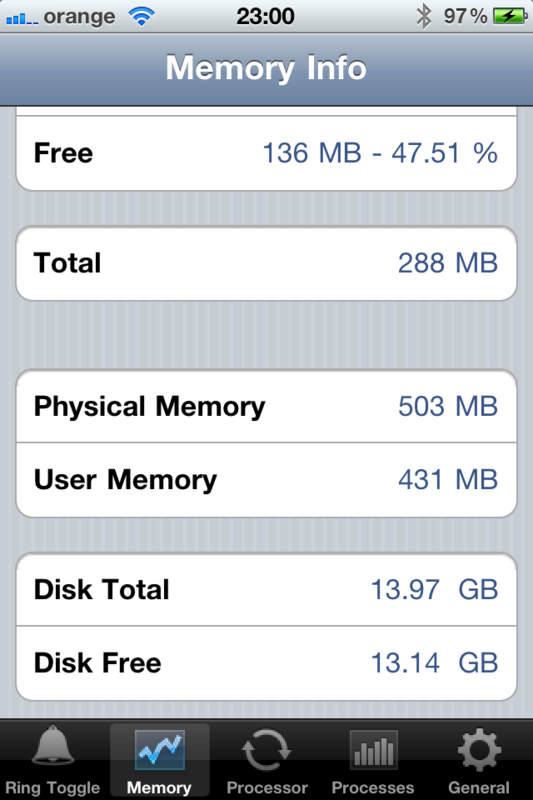 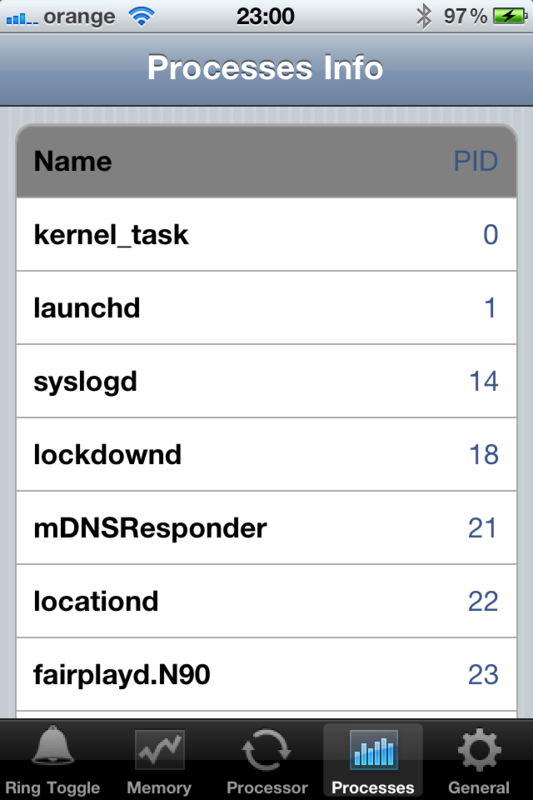 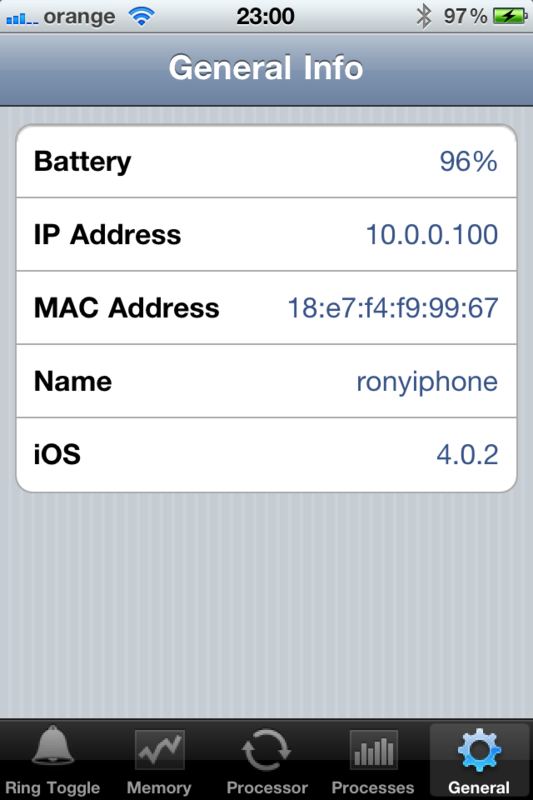 GeneralInfo displays information on your iPhone, iPod or iPad devices. 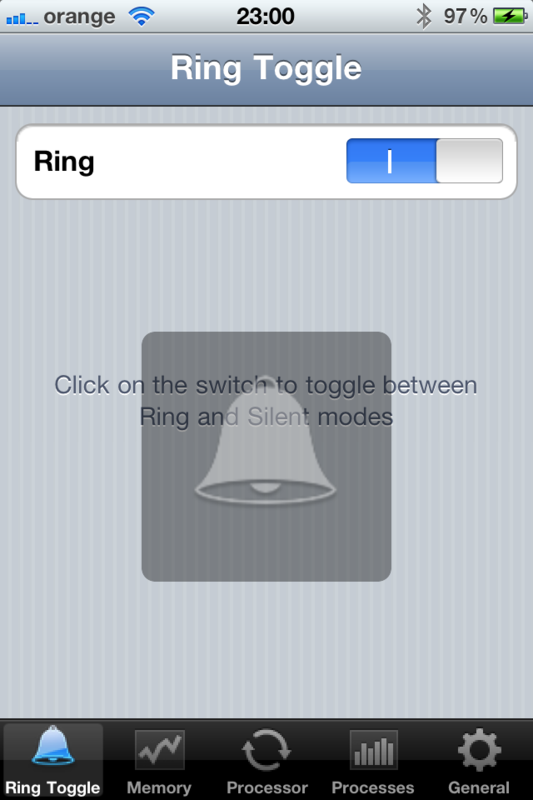 GeneralInfo also displays your current Ring mode (e.g. 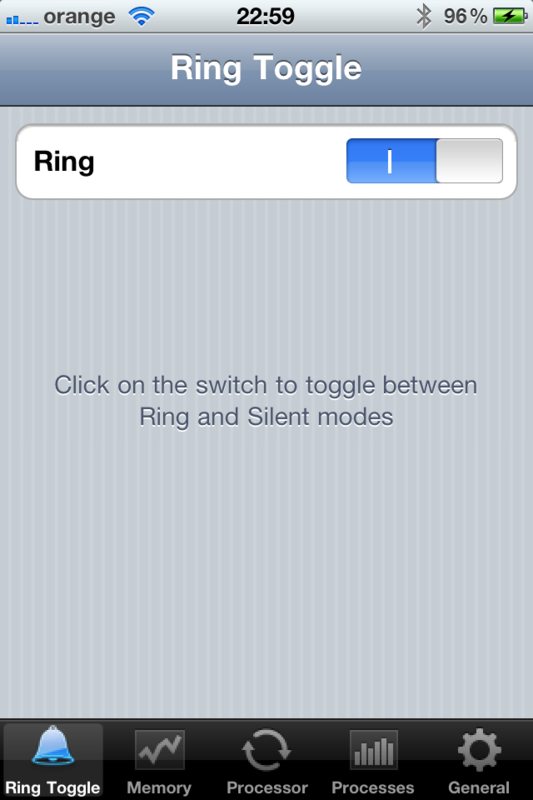 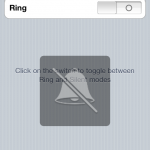 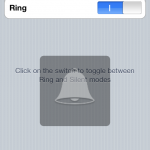 Ring or Silent) and also lets you toggle between Ring and Silent modes. 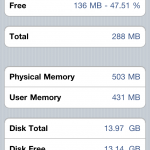 It includes Memory and disk statistics, Processor information, list of running processes and general information like: Battery, IP address, MAC Address, device name and iOS version. 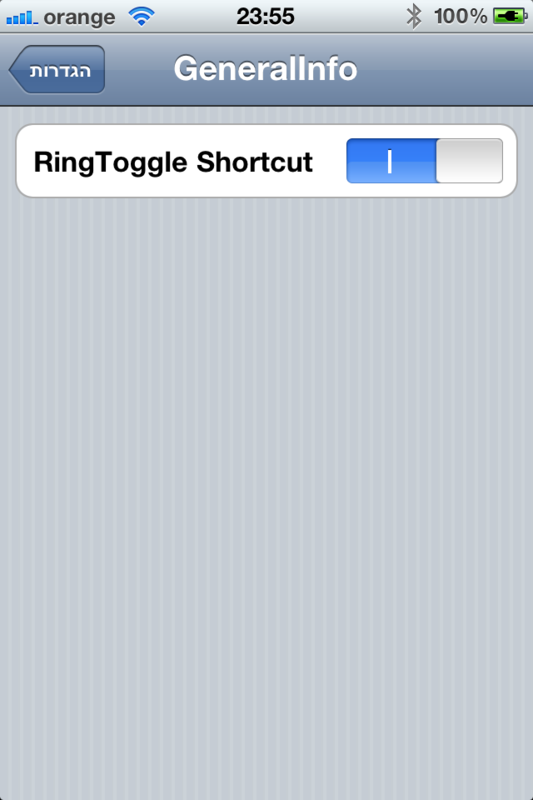 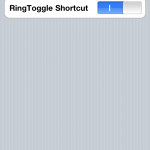 You can also enable RingToggle shortcut from the Settings app. 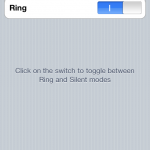 When RingToggle shortcut is enabled, clicking on the GeneralInfo application icon will immediately toggle between Ring and Silent modes.